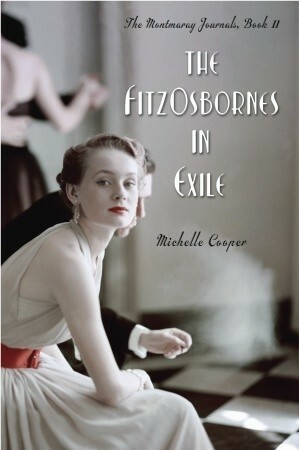 I've just finished reading two fantastic books: Michelle Cooper's A Brief History of Montmaray and The FitzOsbornes in Exile. Happily for me, The Montmaray Journals are a trilogy, so there's also The FitzOsbornes at War to read. I'm dying to find out what happens to my new favourite fictional family. Updated: As I've discovered today that Michelle Cooper does not have a UK publisher, I'll be ordering the third book from Australia. The third book comes out in the US/Canada in October. 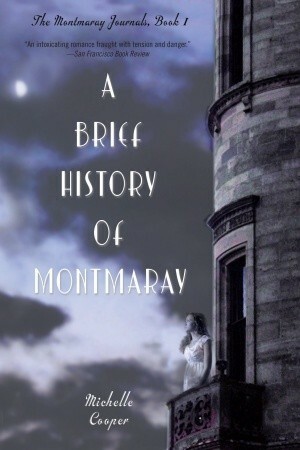 A Brief History of Montmaray is the journal of the sixteen-year-old Princess Sophia FitzOsborne of Montmaray, a tiny island located in the Bay of Biscay, founded in the 16th century by an Cornish aristocrat who fled England after an affair with Katherine Howard (Henry VIII's fifth wife). There is of course no such island but Cooper has created a fascinating history for this fictional island and interweaves it with real history (the island helped fight off the Spanish Armada and the castle's curtain wall boasts a hole from when Napoleon fired on the island). From the beginning, this book bears a distinct but pleasant resemblance to Dodie Smith's classic I Capture the Castle. Sophie lives in the crumbling castle of Montmaray (ahem, fortified house) with her young tomboy sister Henry, her intellectual cousin Veronica, and her mad uncle King John. She also has an older brother Toby, away at school in England, bankrolled by stern Aunt Charlotte, the only family member with any money. And she has a terrible crush on the housekeeper's son, Simon Chester. Though everyone in the family is an HRM or HRH, these characters are not privileged at all - everyone helps clean and cook and take care of their animals. They're also extremely cut off from the world, with only a dodgy wireless and newspapers from passing ships to keep them informed. However, when two SS men turn up one day, the seemingly distant Spanish Civil War and the increasing power of the German Nazis begin to have ramifications for Montmaray. One of the men is a real historical figure, Otta Rahn, who is convinced that the Holy Grail might be located on Montmaray. 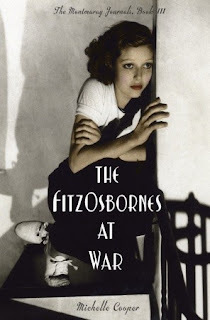 The second book, The FitzOsbornes in Exile follows the family from 1937 to just before the outbreak of the World War Two. 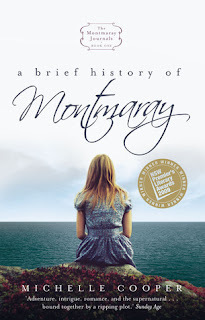 Sophie and her family are now in England, having fled Montmaray (I won't say exactly why, but you can perhaps guess). All of sudden, they are indeed moving in high society, among Mitfords and Kennedys. However, the girls especially are no longer able to conduct themselves as they choose, now living under their Aunt Charlotte's authority. And what Aunt Charlotte wants most of all is to see Sophie, Veronica, and Toby married well, which is problematic, as Veronica is (by society standards) overly intellectual and overly political, which is rather troublesome in the days of Appeasement. And Toby, the new king of Montmaray, is gay. Veronica and Sophie don't care, but they are also acutely aware that homosexuality is in fact illegal, so Toby had best not get caught. This book follows Sophie and her family through three London Seasons, through helping Basque refugee children after the horrific bombing of Guernica, and on their quest to reclaim Montmaray from the Nazis. The last entry of Sophie's diary in this book is 23 August 1839. I read the last pages with a sense of dread. The Germans marched into Poland on 1 September 1839. So now I'm burning to find out what will happen to these characters in World War II. The bombing of London is coming; new opportunities are going to open up for women; and the men will go off to fight. Simon and Toby have both already signed up for the RAF. These are fantastic books, especially for anyone interested in the Brideshead Revisited/interwar era and stories of crumbling aristocratic, eccentric families. Cooper has obviously done her research, down to very small details (for instance, that von Rippentrop earned the nicknamed von Ribbensnob while ambassador in London). There is a lot of history and politics and diplomacy, so that these books actually reminded me a bit of the political manoeuvring in Megan Whalen Turner's Queen's Thief books.